• Timely examine vehicle health to ensure that the vehicles stay in good condition, and to reduce repair costs and related environmental impacts, as well as to lower the fuel consumption and related green house gas emissions. • Timely coaching to assist driver self-correct the driving habits which enhance driving security and increase productivity. • Providing the most economical vehicle route by big data which can reduce OPEX and make a huge contribution to environmental protection. 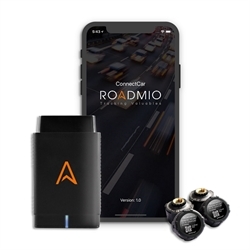 Roadmio ConnectCar offers vehicle IoT gateway, sensors, mobile app, cloud data analytics and web-based applications. The core value is to acquire vehicle's hidden data and transform it into an analytical and actionable intelligence to further improve driving safety, vehicle performance, save fuel expense, cut emissions and enhance efficiency.